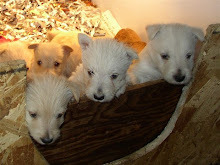 Montgomerie of Camas - AKC Scottish Terriers: ONE PUP NEEDS HOME!! Born 12/09/13 to Sally & Duncan Black Female.....has shots & worming, Microchip, AKC papers. She is eating dry Purina Puppy Chow Healthy Morsels. Loving and happy with people.